Information is a valuable asset that can make or break your business. When properly managed it allows you to operate with confidence. ISO/IEC 27001 Information Security Management gives you the freedom to grow, innovate and broaden your customer-base in the knowledge that all your confidential information will remain that way. 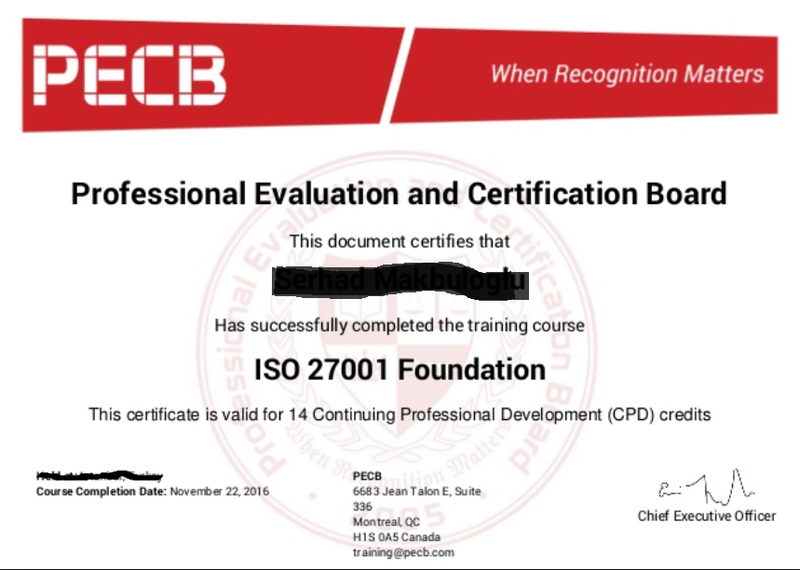 Internationally recognized ISO/IEC 27001 is an excellent framework which helps organizations manage and protect their information assets so that they remain safe and secure. A 60-minute certification exam is scheduled with PSEB. The exam is paper-pencil based. There is no prerequisite for this certification exam.